You’ll need at least a collar (preferably a harness) and of course a leash for use if you don’t have a secure yard, or anytime you take your puppy away from home. Leather collars, while a little more expensive, are easier on the necks of hard pulling dogs than nylon collars. 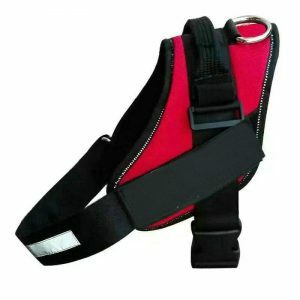 Leather collars and harnesses are more comfortable on dogs that tendto pull often, or with force. 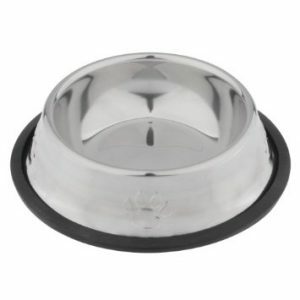 Bowls: Seems obvious, but we’ve put this here to specifically recommend stainless steel food and waterbowls. 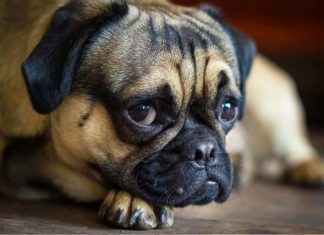 Plastic bowls can cause pimples in some Pugsaround their masks, and ceramics, while typically lead free today are less durable and prone to breaking and chipping. Stainless Steel Bowls are safer, last longer and easier to clean than their plastic and ceramic couterparts . 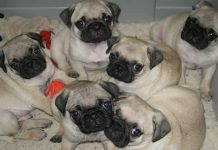 Be ready for some housetraining problems with odor neutralizer and cleaner specifically designed for use in homes with pets! Standard cleaners may not always be pet-safe, and don’t eliminate the smell left behind by an accident. We may not smell it after using a standard cleanser, but your dog with its powerful nose still can! 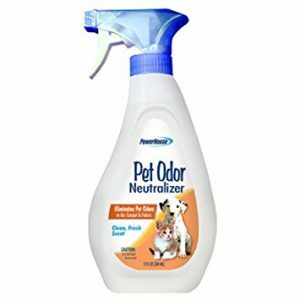 Odor neutralizers specifically made for use in homes with pets are safer and more effective than standard cleansers. Treats and bones are a must for any new Puppy, but go easy on the treats! 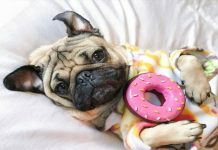 PeeWeethepug won’t make a recommendation as to what brands of treats to use, though we do urge you stay away from rawhide chews, pigs ears and other similar types of treats. 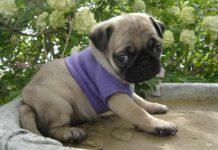 Rawhide chews are difficult for small dog to digest and have been known to cause intestinal problems in Pugs. Pigs Ears are overly fatty and not particularly healthy, and can also cause similar digestive problems. 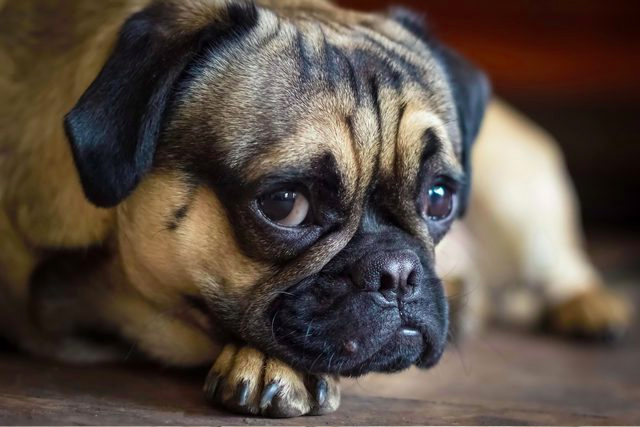 Rawhide bones and chews can cause digestive problems in small dogs, including Pugs. 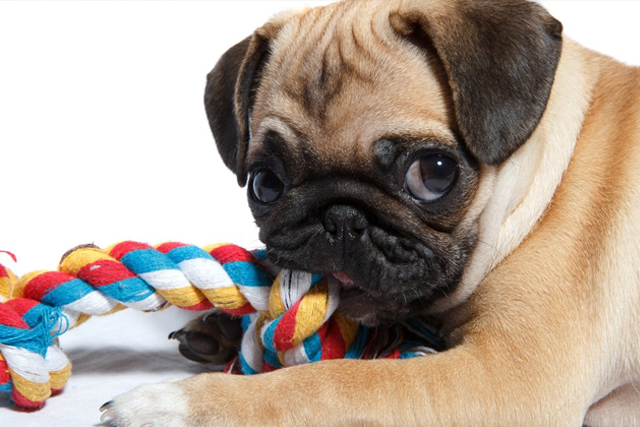 As mentioned in our Pug Proofing article, exposed cables, wires and power cords pose a safety risk to puppies which are not only curious, but prone to chew on things. Spraying these items with Bitter Apple sometimes helps to prevent accidents when these objects can’t be completely taken out of reach. Did we mention that Bitter Apple is also good for stopping your puppy from nibbling on you? Bitter Apple can be effective in preventing dogs from chewing on objects which are hazardous such as computer cables and power cords.